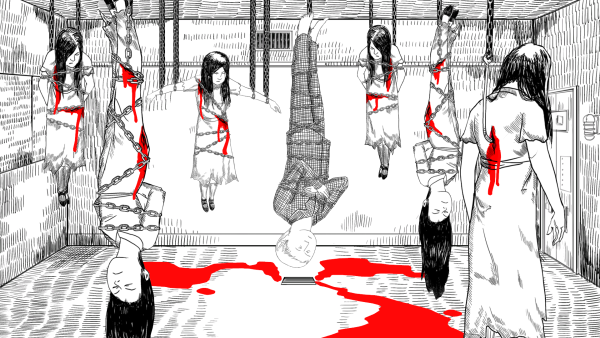 Neverending Nightmares is a psychological horror game featuring a truly interactive narrative structure allowing the player to shape the outcome of the game. The player character navigates a chilling and constantly shifting reality as they experience false awakenings into new and different nightmares. Project creator Matt Gilgenbach promises to take the psychological horror genre in a new direction with the game. It boasts an interesting set of characteristics, most striking of which is a unique art direction influenced by the macabre stylings of famous illustrator Edward Gorey, utilizing color to emphasize interactive objects. Blood also appears in red in order to emphasize gruesome violence. Additionally, Gilgenbach seems particularly eager to offer an innovative system of interactive branching narrative, with completely different endings depending on player choices. Gilgenbach feels that horror is best amplified by vulnerability, and has chosen, instead of the typical "shoot zombie in the face" brand of action, to opt for an Amnesia-esque lack of direct conflict. Further, he claims that while there may be some very light combat mechanics, the player must work to avoid confrontation. One of the more intriguing aspects of this project lies in the fact that the creator has derived the inspiration for the project from the real horror of his battle with obsessive-compulsive disorder and depression. Much of the disturbing and grotesque imagery featured in the game was drawn from real nightmares and intrusive dark thoughts Gilgenbach experienced regularly during the development of his previous title, Retro/Grade. He hopes to add to the current dialogue about mental illness and the cultural stigma attached to it and in doing so, perhaps contribute to the gaming community a highly-personal, narrative-driven game that can be both appreciated by others suffering similar challenges as well as offering a window into mental illness to everyone else. 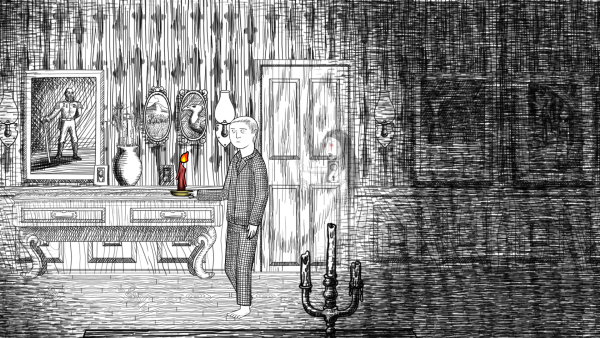 Neverending Nightmares will be launching on Linux plus other platforms, and can be supported on Kickstarter. It has reached 64% of it's funding total with three days remaining. I liked the art styel of this game, pretty unique!